Three great martial artists and actors from the Shaw Studio come together in this film based on the telling of a famous piece of Chinese history. The story follows that of three men who by chance meeting become sworn brothers , One of the brothers is a well educated man who has his sights on power by working to get into government . Set in the Qing Dynasty where power within government will see those in power able to gain whatever they want. But where's there's the ability to improve ones life by being somewhat ruthless ,there's always the chance that behind you in the shadows there's always someone else waiting to grab what's yours. Ma Xinyi ( Ti Lung) is the man whose heart is set on power. Chiang Wen Hsiang ( David Chiang) and his brother Huang Chang ( Chen Kuan Tai) are two bandits who by chance whether by luck or fate try and rob Ma Xinyi , their inability to do so ends up with the three becoming good friends and sworn brothers. By taking on other bandit gangs and defeating their bosses they are able to recruit a small army of followers who they train in fighting. But Ma Xinyi has his sights set on a life in the government , after trying for exams he manages to get posted and some two years later he sends word to his brothers to join him , as the armies need more men and formidable leaders. Blood Brothers is quite deep , as well as being a all out fight flick it's plot sways between a love triangle between Ma Xinyi and the wife of Huang Chang, Mi Lan. As Huang Chang's leadership of troops in the new order Ma Xinyi increases ,his responsibility to his home life suffers , this gives the chance for Man Li and Ma Xinyi to get involved. Of course there are other problems as Chiang Wen Hsiang becomes suspicious. The film is told in flashback by Chiang Wen Hsiang who has been arrested for the murder of Ma Xinyi , so from the opening moments of the film you know the how it ends,but what you don't know is how it ended up being so. Ti Lung is sinister from the early parts of the film, playing the villain of the piece ,though he hides it behind a false illusion of himself . It's quite chilling to see him play such a role after the many films where he has played the hero. Yet even though you know the true reason behind Ma Xinyi's methods ,you kind of like him ,as to be honest his two brothers who prior to leading armies basically robbed people. Chiang Wen Hsiang is probably the one which comes across as the righteous one ,but this could be down to David Chiang's portrayal of the character , one thing about David Chiang in the many films he has done ,he always seems happy ,there's always a smile on his face. But what's engaging about Blood Brothers is even though from the outset what culminates ,it never ceases to surprise. From the action down to some very intense dialogue the film will leave you thinking. Considering the film was released in 1973 , the year that saw Bruce Lee's ''Enter the Dragon '' and Way of the Dragon at the box office, it is considered a landmark film from Chang Cheh and one of the best films to come from the former Crown Colony that year. Ti Liung won the Golden Horse Award for the best performance and David Chiang for best actor. Of note the 2007 film Warlords with Jet Li ,Andy Lau and Takeshi Kanershiro which had originally had the working title of ''Blood Brothers'' bears a remarkable resemblance to this Shaw Classic. Even though Peter Chan say's it may have influenced his film , his film is not a remake of the Shaw film ,apparently it evolves around another power hungry government official from the Qing Dynasty. For us in the UK The Blood Brothers was not available years ago ,unless you happen to see it at some late night event ( which I frequented many in my youth) or got hold of some bootleg copy on some dodgy VHS tape chances are you never saw it. For me I was one that never saw it . But new of it. Even now I have imported the Region 1 USA DVD for this review and must say the familiarity with Peter Chan's film is to close not to be a remake of this Shaw Classic. In the end it takes a certain kind of man who can put aside his emotions for friends or family in the power struggle to gain fame and power over others , for me I can say I'm not that kind of man but that Ma Xinyi , he is one cold hearted soul. Post by Kick'em in the Ghoulies. 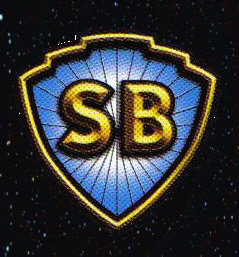 Don't forget to visit our dedicated Shaw Brothers page with links to other Shaw film reviews on site and of course our brief bio of the Shaw Brothers Studio. Click the Logo to go there NOW! For Broken Links and Video kindly post a comment in Guestbook ,it's situated under 'Blogs'and all will be put right.